Nobody ventured an opinion on Mystery Photo 34, which showed a happy event on the quarterdeck of a large warship. Readers were asked to guess the name of the infant on the left (with a hint: he was a notable aviator in the RAN), and the name of the ship and approximate year? The answer was (of course) Timothy Barrett, who at the time of writing this was the Chief of Navy. Admiral Barrett kindly consented to the use of this photograph and advised that it was indeed him on the left (with white hair! 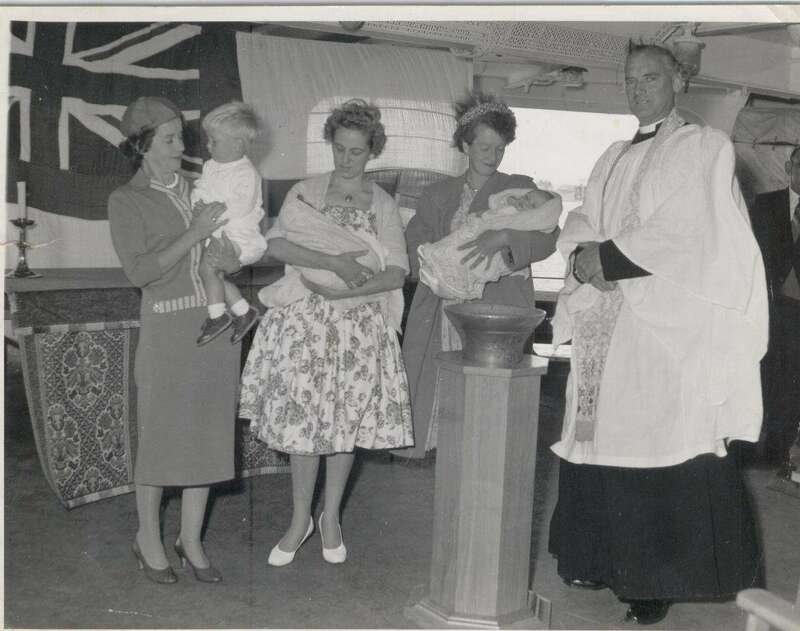 ), and the occasion was his christening aboard HMS Victorious. His father was in the ship’s Air Ops team at the time. He says he can’t remember the date but it was sometime in 1961. A new Mystery Photo will be posted shortly, when I have a moment.